‘Tis the season for quality family time, fun festivities, and holiday cheer. Make your days merry and bright with the ultimate Outer Banks Christmas vacation! 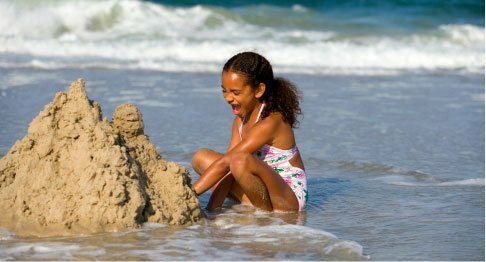 This year-round destination is the perfect locale in which your entire family can spend the holidays. Admire wondrous displays of lights in perfectly manicured gardens. Celebrate at local parades, festivals, and events. The look of awe on the faces of young children during this time of year brings sentiments of joy and admiration. In addition to all the holiday-themed activities, you’ll find a myriad of magical things to do and see during your stay. 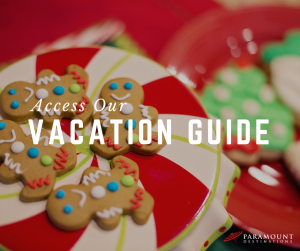 For more suggestions, take a look at our thoughtful vacation guide! Take a leisurely stroll and enjoy a magnificently illuminated garden at WinterLights in Manteo, NC. The meticulously maintained gardens become an enchanted winter wonderland this time of year. Spot peacocks, butterflies, deer, and a unique selection of plant species. Peruse their gift shop and seasonal plant selection or warm your hands by the crackling fire on the Great Lawn. One of the best ways to keep the kids entertained this time of year is by taking them to see a big Christmas parade! On the Outer Banks, you have the option of attending the Hatteras Island Christmas Parade where you can enjoy cookies and hot chocolate as well as a climb up the lighthouse. You can also attend the Manteo Christmas Parade and admire creative floats, festive music, and more. At Duck’s Yuletide Celebration, visitors wander through Duck Village and mark off your “Great Yuletide Hunt Passport” at various shops and locations. Once you complete your passport, turn it in to receive a gift for children, and you’ll be entered to win a gift basket! Afterward, admire the lighting of the Crab Pot tree, listen to carolers, enjoy coffee or hot chocolate, and wait for Santa’s arrival at Town Hall! For something with an old-fashioned feel, make plans to check out the Island Farm during the holidays. You don’t want to miss the opportunity to witness the arrival of St. Nicholas on an ox-drawn wagon! Enjoy the chilly weather of the Outer Banks this time of year! Escape the freezing temperatures of the North in December with a relaxing vacation on the coast of North Carolina. There’s something so serene about the beaches this time of year. 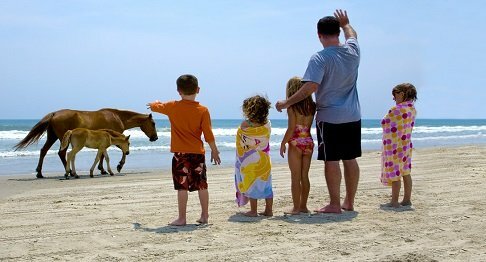 Start a new tradition this year and plan your Outer Banks Christmas vacation with Paramount Destinations. 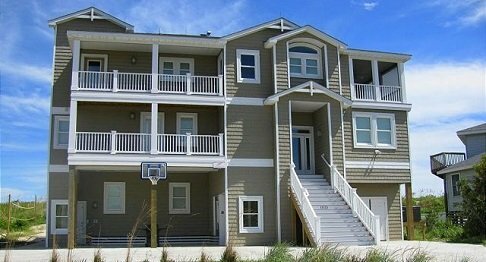 When you stay in one of our beautiful vacation homes, you’ll be near all the amazing restaurants, walking trails, beaches, and holiday festivities that the area has to offer. Don’t leave the furry members of your family behind! 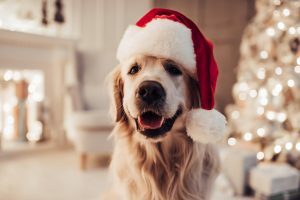 We have plenty of dog-friendly beach homes so that you can include everyone in the Christmas fun. Spend quality time with the people (and pets) who matter the most. What are you waiting for? What Are Some of the Best Outer Banks Shopping Spots?